The 36-year-old called time on his playing career at Paris Saint-Germain last season and now manages the club’s U-19 team. Motta played under some of the world’s finest coaches like Jose Mourinho, Carlo Ancelotti and Louis van Gaal. But it appears that the ex-Barcelona star has no plans on following their examples and instead intends to set a new trend in football. This involves a “super offensive” 2-7-2 formation, which is sure to raise a lot of eyebrows. “My idea is to play offensively,” Motta told Gazzetta dello Sport. “I want the player that has the ball to always have three or four solutions and two teammates close by to help. “The difficulty in football is, often to do things simply but to control the base, pass and get free. “I don’t like the numbers of the field because they trick you. You can be super offensive with a 5-3-2 and defensive in a 4-3-3. “Depending on the quality of the guys. I had a game a while ago where the two full-backs ended up playing as the 9 and 10. When asked if this means he will employ a 2-7-2 formation for 12 players, Motta replied: “No, the goalkeeper counts as one of the midfield seven. “For me, the attacker is the first defender and the goalkeeper is the first attacker. 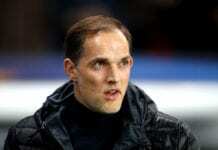 Motta added that he wants Thomas Tuchel’s job as PSG manager of the first-team someday as well.